Does Your Work Vehicle Present Easy Pickings? Unfortunately, without using reliable tracking systems, opportunistic thieves will steal anything they deem to be easily accessible which can include vehicles and their contents on construction/building sites and other commercial business premises. There has been a worrying 30% increase in tool theft alone according to recent statistics with tools being stolen from a vehicle in the UK every 23 minutes. This increase also includes a rise in van theft too. Recent statistics also show that 82% of the theft of vans is “keyless” meaning that skeleton keys are used or existing security systems are simply overridden. These statistics show just how scarily easy it can be for both a valuable van and its high-value tools, equipment, materials and even personal possessions can be stolen by those with less than honest intentions. This increase in both tool and commercial vehicle theft has also seen a change in the way thieves are operating. More and more thefts are taking place in daylight hours instead of the traditional nighttime break-in or the taking of a vehicle when it was left parked on closed business premises or left outside a worker’s home address. This is likely because contractors tend to be more lax about security during the day as they perceive their vehicle and contents to be less at risk. Trusting of on-site security, remaining close to their vehicles and/or moving back and forth to their vans for equipment ironically means that they can be less on their guard against opportunistic thieves or those that may have been watching their daily routine to plan a well-executed strike. It can be difficult to keep your eye on cargo at all times and easy to have stuff stolen from your vehicle when a criminal is determined to do so, BUT there are solutions. The most critical steps to take are those that involve the security of your vehicle such as using deadlocks, van safes and following a policy/displaying a sign which reads “no tools are left inside this vehicle overnight.” However even these are not always enough to deter a would-be thief, especially if the vehicle itself is of high value and so one of the most productive security steps you can take is to put GPS on the job. GPS is like having your own personal watchman sat in the passenger seat of your vehicle 24/7. No vehicle can ever be 100% safe from break-ins and being stolen but GPS stands for Global Positioning System and operates as a tracking system to trace the unauthorised use of a vehicle and its subsequent movements/journey, so it can be located and recovered as quickly as possible with less chance of damage and harm to any contents. The recorded location data can either be stored within the tracking unit or transmitted to an internet connected device. This allows the location of the vehicle to be displayed against a map backdrop either in real time or when analysing the track later using tracking software. So, Who Do You Choose to Supply Your GPS And Its Associated Benefits? It is essential to choose a professional company who knows the product inside out. 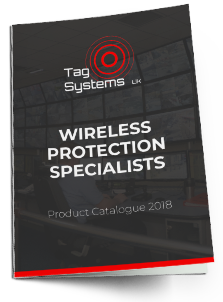 Tag Systems has been involved in the design, manufacture and monitoring of GPS tracking systems for over twenty years which means we are one of the leading and most experienced industry providers. Tag Systems GPS vehicle tracking devices are simple to install and have minimal operating costs. Tag Systems GPS vehicle tracking devices can be bought outright which avoids the need for long term and/or binding contracts. They can also be leased if this suits your company’s needs/requirements. 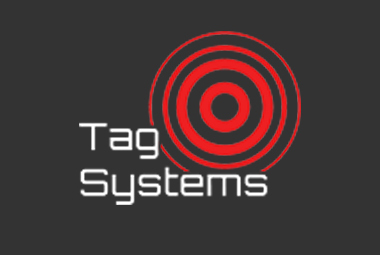 Tag Systems GPS vehicle tracking devices prices start from only 50p a day. This is a minimum outlay to protect what could be your company’s most valuable assets. Tag Systems GPS vehicle tracking devices can be easily moved to another vehicle if and when required. Tag Systems GPS vehicle tracking devices have a rugged build quality and an exceptional record of reliability with a proven record in the construction sector and fleet vehicle market. Our tracking has a track record of its own! Tag Systems GPS vehicle tracking devices produce comprehensive reports including route history and the visiting of specific location points that may/may not be connected to work activity! Tag Systems GPS vehicle tracking devices can be adjusted to suit any type of vehicle from vans to motorbikes and construction/plant/farm machinery from cranes to tractors. Tagtrack -tracking for cars, fleet management and anti-theft protection for construction plant and agricultural machinery. Taglock GPS security padlock/alarm system –we are the exclusive UK distributor of this innovative product that enables authorised users to monitor the opening and closing of vehicle/machinery locks in real time, and we also offer a service to monitor this activity and provide associated reports. This turns your GPS padlock into your very own alarm system! Tag Systems GPS vehicle tracking devices are controlled from PC software that can be viewed using any method of internet access. Using GPS and mobile networks; they will track and trace vehicle movement to detect theft or unauthorised use of a vehicle where the police can then be informed. The mapping software accessed via the internet is second to none and includes worldwide Google maps and satellite imagery. Optional 24-hour remote operating to provide a full, managed service is also available for your ultimate convenience.